Canon 70-200mm f/2.8L IS II lens with the 2X II TC handheld at 342mm with the EOS-1D MIV. ISO 400. Evaluative metering +1 1/3 stops off the sky: 1/1600 sec. at f/5.6 set manually. 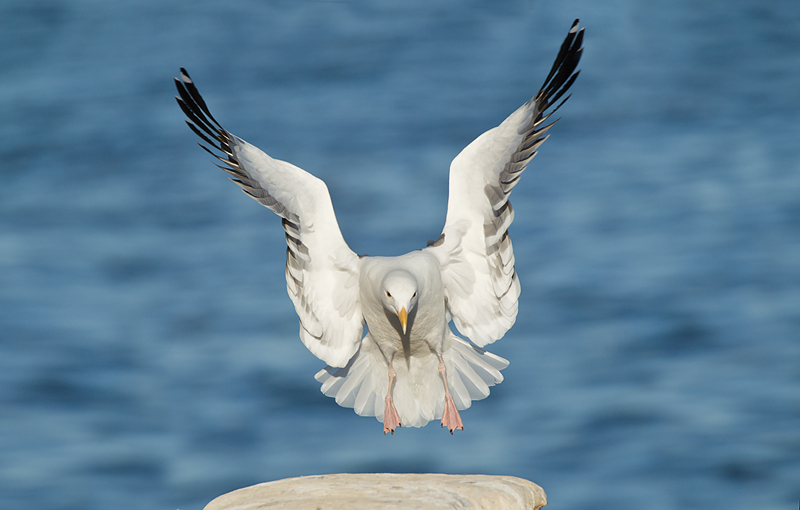 I have simply been astounded by the sharpness of the flight images created with the new 70-200 f/2.8 II and the 2X II TC. I arrived in San Diego on Thursday afternoon and got out to La Jolla for a few hours on Friday morning. I spoke on Saturday and Sunday at Photo Expo West in Delmar, CA to large, enthusiastic crowds. There was lots of information and love being exchanged and of course, lots of great images were shown and shared. My main photographic mission while here in San Diego is to test the Canon 70-200mm f/2.8 IS L II (the latest version) with the EF teleconverter 2X II and the EOS-1D Mark IV professional digital camera body. After just two hours on the cliffs of La Jolla on my first morning, I knew that the combination produced amazingly sharp image. Subsequent opportunities have proven that the combo is the best flight photography rig that I have ever used. I know that many will think that my statement is simply a prejudiced sales pitch from a Canon contract photographer, but those who know me know that I do not bs folks. I invited all to simply look at the images. 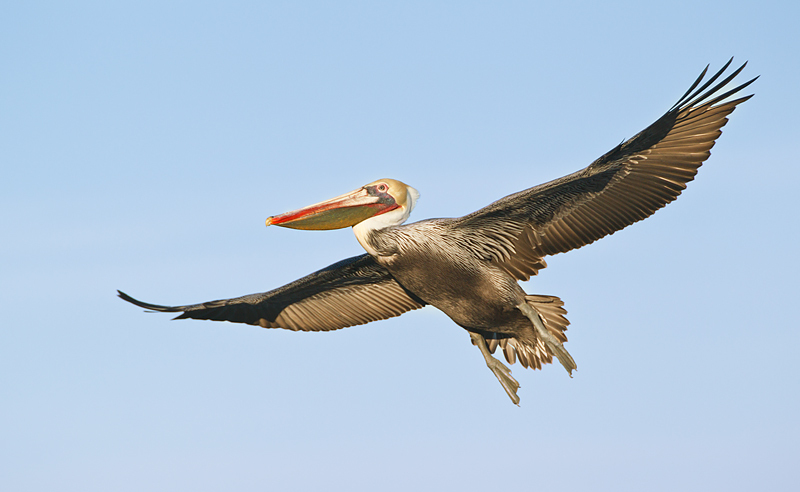 I created 31 pelican flight images on Sunday morning; 30 were razor sharp on the eye while one suffered from operator error. If anyone had shown me the RAW files and told me that they were created with a 2X teleconverter I simply would not have believed them. 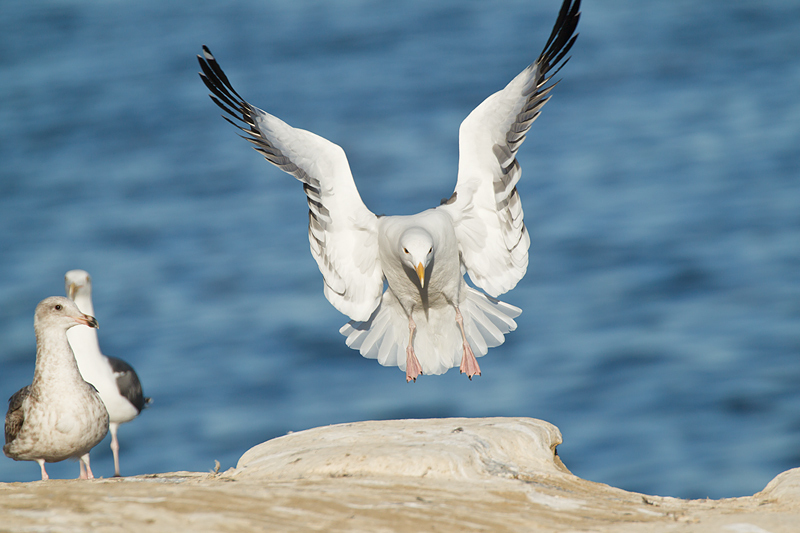 Thanks to Patrick Sparkman for the heads-up on this great combo; he used it extensively in the Galapagos. Canon 70-200mm f/2.8L IS II lens with the 2X II TC handheld at 310mm with the EOS-1D MIV. ISO 400. Evaluative metering +1 1/3 stops off the sky: 1/1600 sec. at f/5.6 set manually. Inspired by Robert O’Toole I recently began using rear button focus. There are details in both the Mark IV and the 7D User’s Guides. Work on the 7D User’s Guide Update continues and has been more extensive than I had originally realized. I am nearly done and at present am adding many relevant camera-function-related images. I appreciate the patience of those who are eagerly awaiting the update. I am pretty sure that most folks will feel that the wait will be well worth Jennifer should it send no later than Wednesday November 24. As most of you know, we had hoped to have it to you by the end of last week but Photo Expo West, my packed schedule, testing of the 27-200 II, and my extensive travels prevented that. Canon 70-200mm f/2.8L IS II lens with the 2X II TC handheld at 365mm with the EOS-1D MIV. ISO 400. Evaluative metering +2/3 stop: 1/2000 sec. at f/6.3 set manually. Both the 7D and the Mark IV allow you to select orientation-linked ((aka: different) AF sensors for horizontal and vertical shooting. Again, you can find the details in the Mark IV and the 7D User’s Guides. FEB 27-MAR 5, 2011: 6 1/2+ Full Days of Photography: $2499. Co-leaders: Arthur Morris, Robert O’Toole, and Yannis Arvanitis as our bi-lingual guide. Limit: 6/Openings 4. Payment in full is due immediately. Please call to hold a spot pending the arrival of your check made out to “Arthur Morris.” Europeans please e-mail for wire transfer details. No discounts at present other than $200 off each fee for a couple or for folks registering with a friend. For images and complete information click here. If you would like additional info on Lake Kerkini please e-mail me at samandmayasgrandpa@att.net and request same. Canon 70-200mm f/2.8L IS II lens with the 2X II TC handheld at 400mm with the EOS-1D MIV. ISO 400. Evaluative metering +2/3 stop: 1/2000 sec. at f/6.3 set manually. 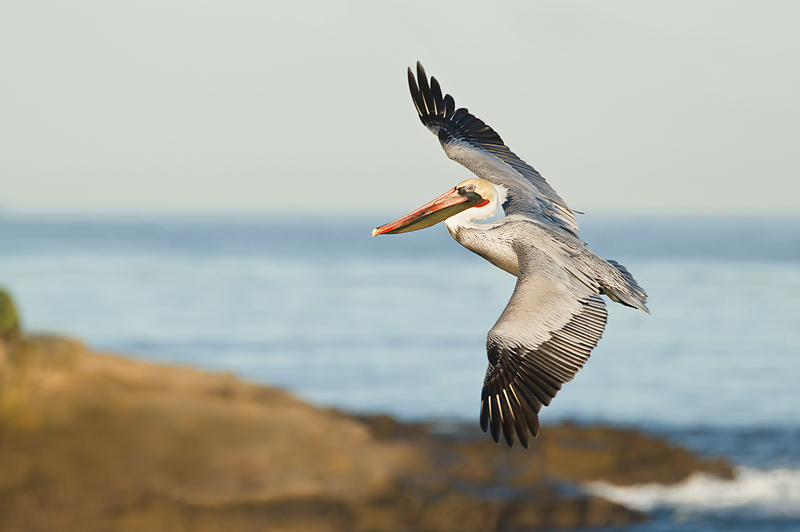 With lots of pelicans on the cliffs in La Jolla and the birds getting tamer each day things are looking great for the San Diego IPT this coming January. See below for details. BOSQUE del APACHE 2010 IPT The Complete Bosque Experience. NOV 20-26, 2010. Slide program on the evening of Friday, NOV 19. 7-FULL DAYS: $3199. (Non-refundable deposit: $500; see details below.) Limit: 10/Openings: 1. Please call me at 863-221-2372 to learn of the largest late registration discount that we have ever offered on any IPT. Do leave a message with a call-back #. Co-leaders: Robert O’Toole, Jim Heupel, Peter Kes, and Denise Ippolito. Live, eat, and breathe photography with one of (if not the) world’s premier photographic educators at one of his very favorite locations on the planet. Plus great co-leaders and top-notch Photoshop instruction. Please see terms and deposit info below. NOV 27, 2010. Slide program on the evening of Friday, NOV 26. 1-FULL DAY: $399. (Payment in full due upon registration.) Limit: 15/Openings: 10. Please call me at 863-221-2372 for late registration discount info and do leave a message and a call-back #. Leaders: Denise Ippolito and Arthur Morris. Learn to create a variety of pleasingly blurred images of Bosque’s geese and cranes. Techniques covered will include pan blurs, subject motion blurs, flash blurs, zoom blurs, sunny day blurs, and lots more. SAN DIEGO IPT: JAN 19-23, 2011. Slide program on the evening of JAN 18. 5 Full Days: $2399 (Limit 8/Openings 2). Co-leaders Tim Grey and Todd Gustafson. See the blog for a discount on this IPT. 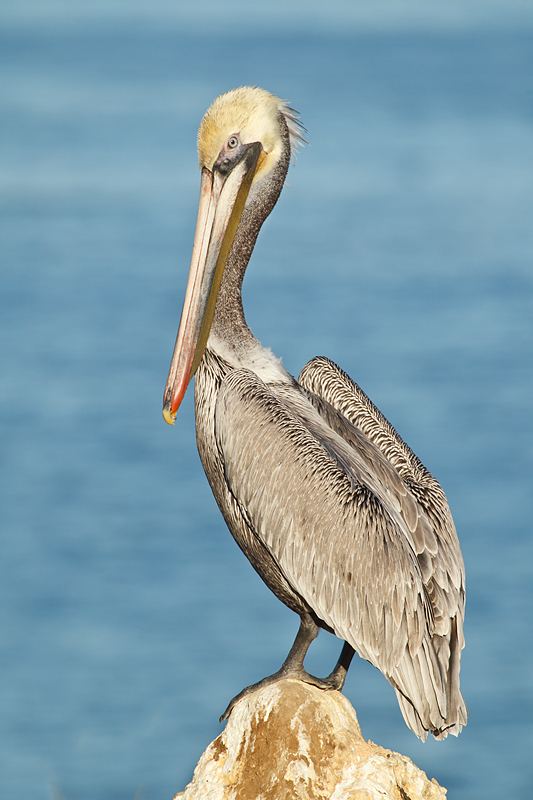 Brown Pelicans in spectacular breeding plumage with their bright red bill pouches, Wood and Ring-necked Ducks, Lesser Scaup, Western, California, and Heerman’s Gulls, Marbled Godwit, and lots, lots more. Please see terms and deposit info below. SW FLA IPT: FEB 9-14, 2011. Slide program on the evening of FEB 8. 6 Full Days: 2899. (Limit 10/Openings 4). 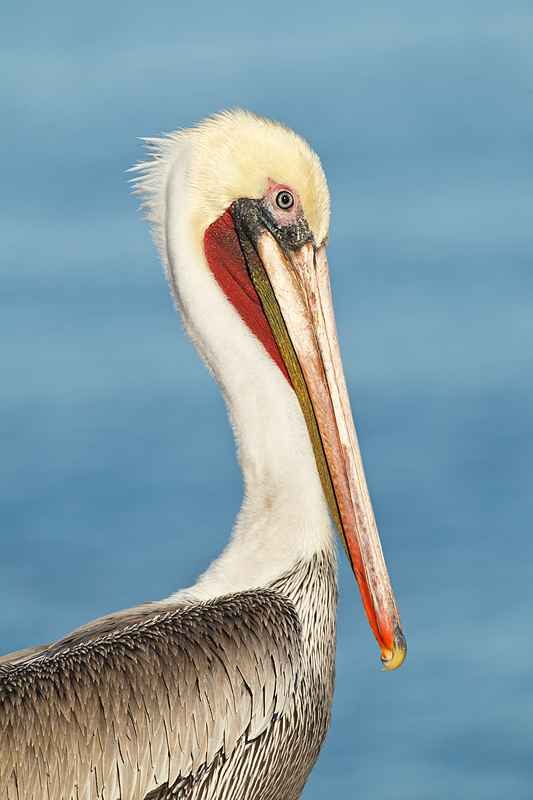 Escape winter’s icy grip to enjoy a wide array of Florida’s tame birds: herons, egrets, Wood Stork, shorebirds, gulls, terns, skimmers, raptors, and more. Please see terms and deposit info immediately below. A non-refundable deposit of $500 is required to hold a spot on the above IPTs. Deposits may be paid by check, PayPal, or credit card. Payment in full (by check or money order only) is due four months before the start of each trip and is non-refundable unless the IPT sells out. You will be required to sign a statement of understanding to this effect. Travel insurance is of course highly recommended. Travel Insurance Services offers a variety of plans and options. Included with the Elite Option or available as an upgrade to the Basic & Plus Options is Cancel for Any Reason Coverage that expands the list of reasons for your canceling to an infinite list from a sudden work or family obligation to a simple change of mind. My family and I use and depend on the great policies offered by TIS whenever we travel. You can learn more here. Do note that many plans require that you purchase your travel insurance within 14 days of our cashing your deposit check or running your credit card. Travel insurance protects you against unexpected developments, injuries, or illnesses. We regret that we must implement this new policy but we have been plagued by last minute cancellations that make it impossible for others to participate and deprive us of essential income. Canon 70-200mm f/2.8L IS II lens with the 2X II TC handheld at 365mm with the EOS-1D MIV. ISO 400. Evaluative metering +1 1/3 stops off the sky: 1/2000 sec. at f/6.3 set manually. Here I added need to rotate the image, add two primary tips, and cover two birds in the lower left corner with Quick Masks, all as described in Digital Basics and APTATS I. The original is below.